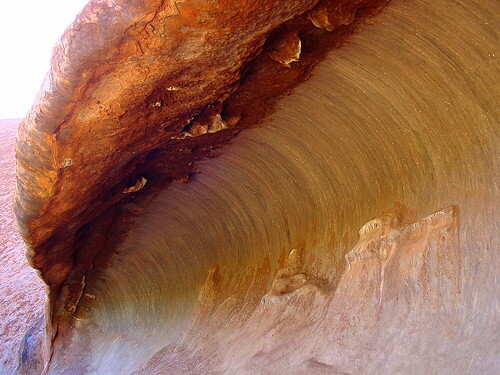 This rock formation in the shape of a wave has little white spots around the curve. They are spider webs. See where the photo was taken at maps.yuan.cc/.